There’s an ache in the back of your jaw, and you wonder if it’s your wisdom teeth telling you it’s time to come out. Why do we have wisdom teeth, anyway? While our methods of technology and transportation have evolved rapidly over the past few hundred years, our mouths haven’t as much. Some things — like those wisdom teeth — still remain. Not everyone has wisdom teeth, but people who do are likely to experience problems with these third molars. If they do emerge, impacted or infected wisdom teeth make you feel anything but wise — unless you make the right decision and choose an oral surgeon in Houston to perform wisdom tooth extraction! Do you suspect you or your teen are experiencing problems related to your wisdom teeth? If you’re experiencing pain in the back of the jaw or see visibly erupted third molars, chances are good the answer is yes. Don’t delay if you suspect you need wisdom teeth extraction — aside from causing real pain, an infection in the tooth can quickly spread throughout the body. The warning signs of impacted or infected wisdom teeth are as follows. General dentists are qualified to perform simple extractions, and many offer the service. But for more complex cases — like when the tooth is covered in bone or only partially erupts — it’s best to trust an oral surgeon. At Piney Point Oral and Maxillofacial Surgery, Drs. Koo and Weil specialize in even the most complex cases of wisdom teeth removal. 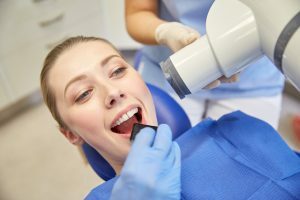 Your general dentist may perform one, maybe two extractions per month, teeth removal is a significant portion of what your oral surgeon does on a daily basis. For expert care and the best results, we recommend patients choose an oral surgeon for their teeth extraction. The treatment plan for your wisdom tooth extraction depends on whether or not the teeth are impacted or infected. Your oral surgeon will evaluate the situation and determine a plan that is best suited for your smile. Wisdom tooth extractions are performed under local anesthesia for your complete comfort. In general, wisdom tooth removal involves opening up the gum tissue and removing all bone and tissue surrounding the tooth. Then, the wisdom tooth is removed in multiple pieces. The gum is closed and recovery begins. Get plenty of rest and maintain a soft foods diet for the first few days following your procedure. Take any pain medications or antibiotics as prescribed, and attend all follow-up appointments with your oral surgeon for best results. If you suspect or already know that you or a loved one require wisdom tooth extraction, don’t delay in scheduling an appointment with an oral surgeon. Trusting an expert to perform the procedure ensures you receive the very best care — and the team at Piney Point Oral and Maxillofacial Surgery is prepared to handle your case. Schedule an appointment today! by: Dr. Steve Koo at March 7, 2017 .